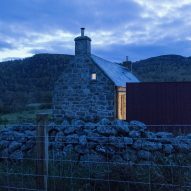 British studio Moxon has restored an old granite farmhouse in the Scottish Highlands, and added a larch and metal extension with a matching gabled profile. 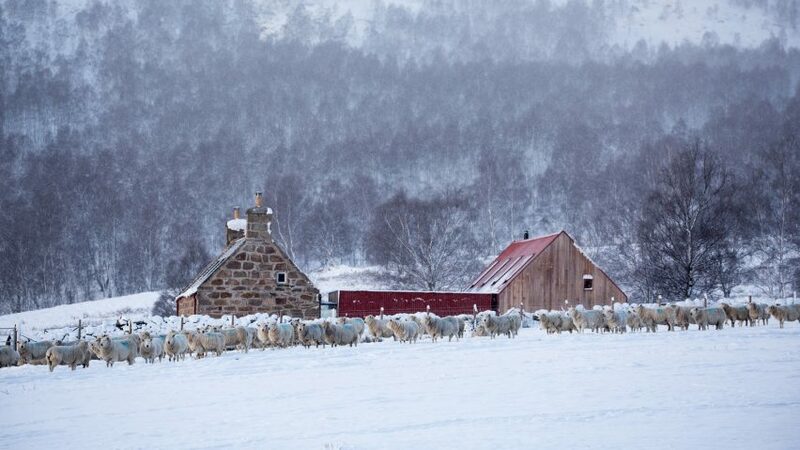 The 18th-century farmhouse, named Coldrach, is located in the Cairngorms National Park in northeast Scotland. 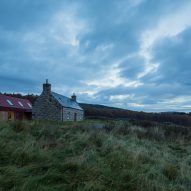 It was derelict prior to the renovation works. 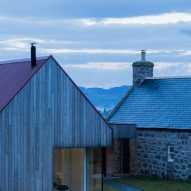 Moxon's gabled extension echoes the form and proportions of the farmhouse, but is clad in lengths of untreated larch and sheets of red metal, which gets its distinctive hue from an oxide treatment. 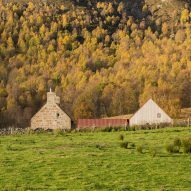 The architects also drew inspiration from the small "but and ben" cottages that dot the Highlands. Set to the rear of the original house and connected by a passageway, the new block creates a U-shaped plan. 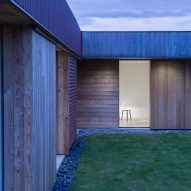 Like the extension, the link is clad in a combination of larch and corrugated metal, and topped by a grassy roof. 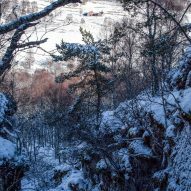 "The extension is nestled slightly below ground level, giving it a natural relationship with the surrounding landscape," said Moxon. 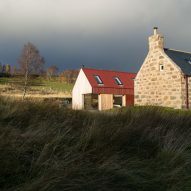 "This gives a sheltered external space between the original farmhouse and the extension, which acts as a micro-climate in the otherwise exposed site." A short, glazed section of the passageway abuts the stone facade of the original house, visually separating the old and new constructions. 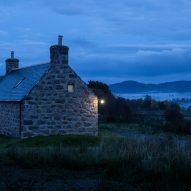 The 120-square-metre extension hosts a kitchen and lounge with a wood-burning stove. 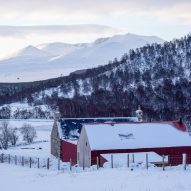 It has one glazed corner that faces southwest towards the mountain Lochnagar. Sliding doors open the space onto the courtyard now enclosed between the old and new blocks. 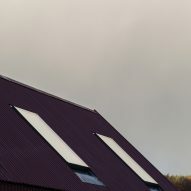 These movable elements are distinguished from the cladding by the horizontal orientation of the corrugated metal sheeting. 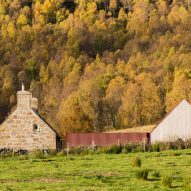 "The result aims to not only reflect the austerity of the existing granite architecture, but also continue the use of vernacular materials – honest and elementary," said the architects. 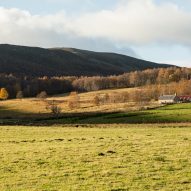 Moxon has offices in both London and Aberdeenshire. 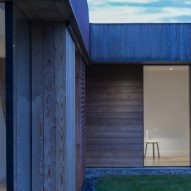 The studio previously created a timber-clad house for the site of a former quarry in the same national park.